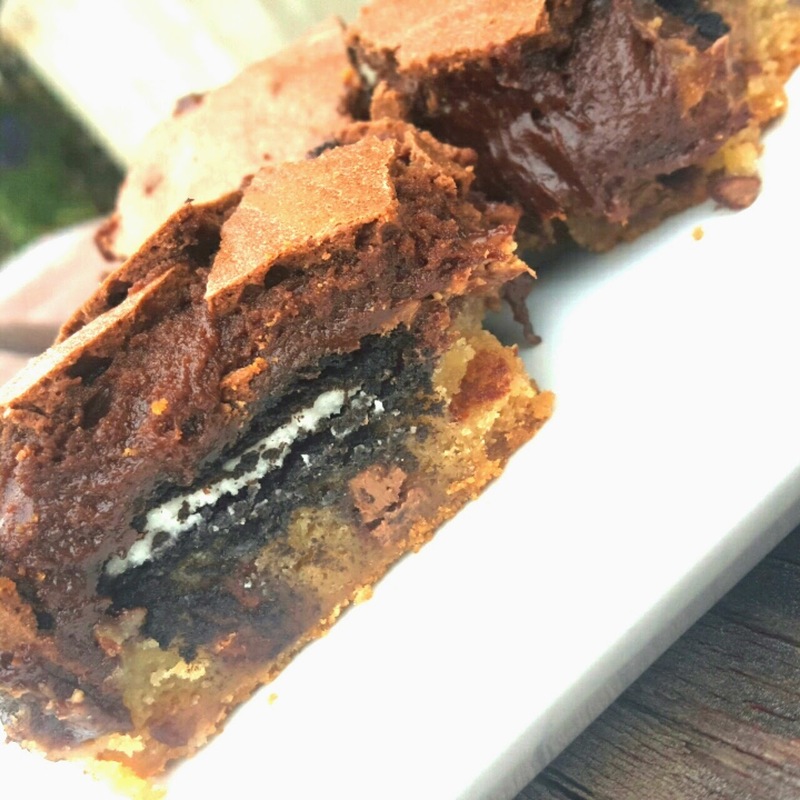 Lou Lou Girls > Cassie > Slutty Brownies Reese Style! I don’t know about you but when it’s been one of those weeks, all I need is chocolate on chocolate! It is the end of the term and as a teacher I am feeling the stress. As I am sure all the parents are also feeling that stress. 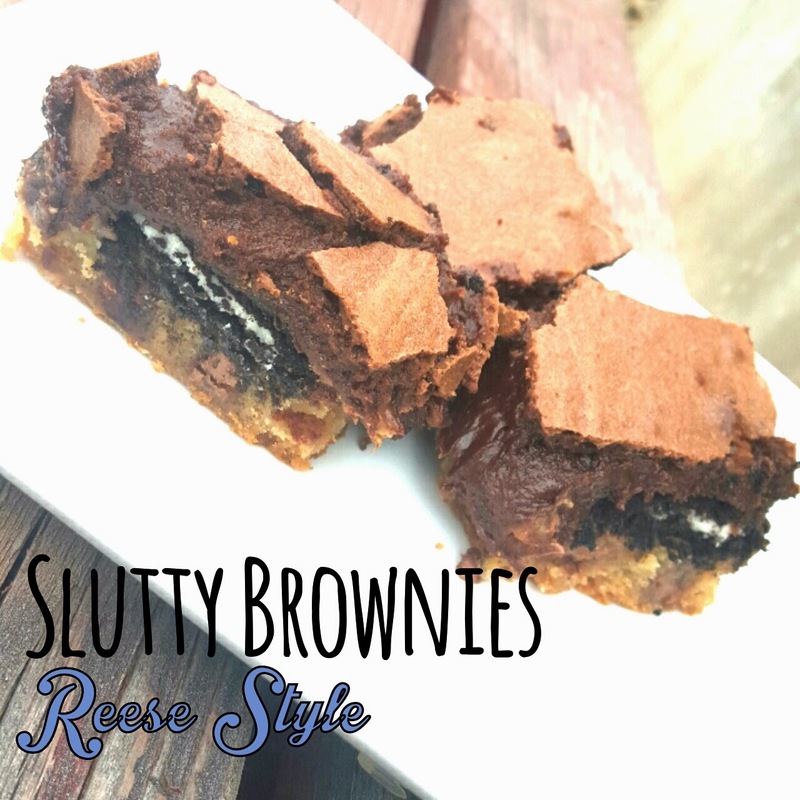 Slutty brownies are a great way to get rid of that stress! Enjoy this extremely rich treat! 1. Cream together butter, white and brown sugar. Then add the egg, vanilla, and baking powder. Slowly, add the flour slowly and then add the chocolate chips. 2. Grease a 9×13 inch pan. Press cookie dough into the bottom. 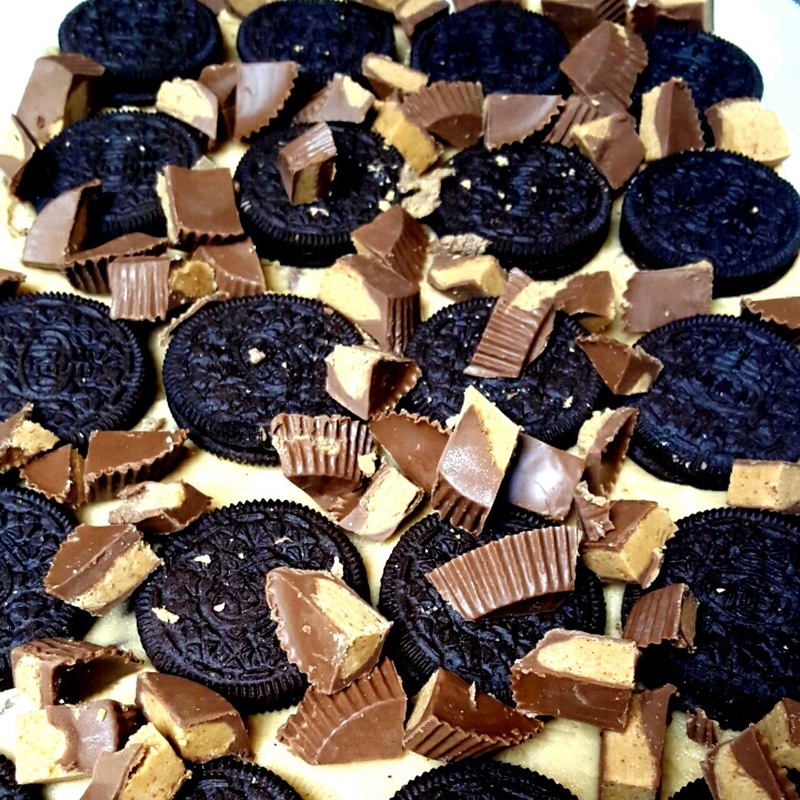 Layer the cookie dough with Oreos and chopped up Reese’s. 3. Bring water, butter and cocoa powder to a boil in a small pot. Place in kitchen aide and add in vegetable oil, sugar, oil, eggs, vanilla and flour. Mix until batter is smooth. Pour on top of the Oreo’s and Reese’s. 4. Preheat oven to 350 degrees. Then bake for an hour or until the a toothpick comes out clean. Allow to cool completely before cutting the squares. Wow! This looks so amazingly yummy and rich! It's got my two favorites- peanut butter and chocolate. Thanks for sharing.